Though a unique partnership in China, a selection of classic Nintendo GameCube and Wii games will be playable on the Nvidia Shield TV box. As Kotaku reports, you usually need Nintendo hardware to play Nintendo console titles, so this is a rather mould breaking industry move. 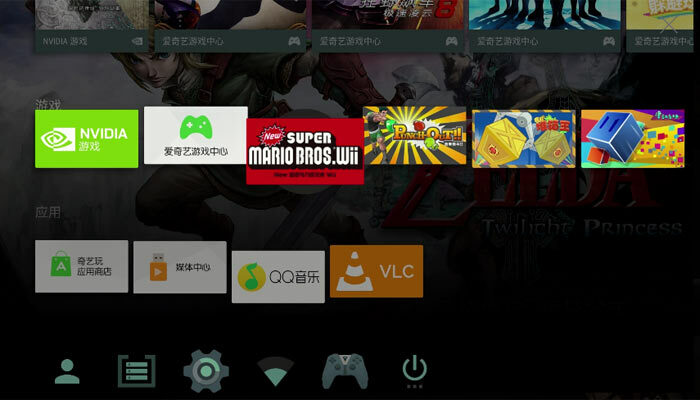 Unfortunately, this extra gaming flexibility of the Nvidia Shield TV is likely to stay in the Far East for now as the partners delivering it are Nintendo, Nvidia and China's iQiyi. Games industry analyst Daniel Ahmad was the first to reveal the partnership between the above trio via his Twitter account. As well as the headline news, Ahmad has provided some further info including pricing and videos of example gameplay. In China the Nvidia Shield has just launched and is priced at RMB 1499, at the time of writing that's equivalent to GB£170 or US$225. 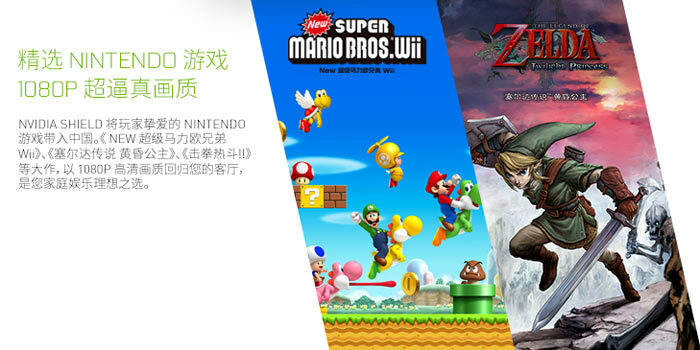 Ahmad says that game titles such as the Wii version of The Legend of Zelda: Twilight Princes are priced at RMB 68, roughly equivalent to GB£7.70 or US$10. The initial selection of Nintendo games is said to include New Super Mario Bros. Wii, The Legend of Zelda: Twilight Princess and Punch-Out!! Some others have been mentioned as coming soon; Super Mario Galaxy, and Metroid Prime among the future lineup. In other good news for Shield TV purchasers in China the games will be "remastered in 1080p," so should look higher quality than we were used to in days of old. Further info from Nvidia, shared by Engadget, reveals that the Shield TV has had a big UI makeover for China. It is described as "a completely localized device, with local content, store, search and more," and includes Baidu's DuerOS conversational AI (voice) system. Here is a link to Nvidia China's Shield TV page. This news shocked me when I first read it. It's a huge win for NVIDIA, IMO. “Official” emulator for old games. Finally, maybe some people are realising that there's a way to monetise older titles from previous generations. What do you mean ‘finally’? Nintendo has been doing it for at least 10 years. The Wii not only supported GameCube games, it also had C64 games in its digital store. Wii U similarly has lots of old games available. And there's the NES/SNES Mini. Nintendo is the king of old games reuse. But it's not the only one. Microsoft now supports both Xbox 360 and original Xbox games on the Xbox One. So there's nothing new to the idea of ‘official’ emulation. Not that this is an ‘official emulator’. It's separate games, not one app to rule them all. And Nintendo can perfectly well port them, so it's not guaranteed that this is emulation.